JEFFERSON CITY, Mo. (AP) – State legislatures across the country are convening this year with at least 17 new women in top leadership roles, after a record-setting election for female candidates. However, those gains are offset in other areas: At least a dozen women who led their legislative chambers or caucuses last year will no longer be doing so because of term-limits and decisions to seek higher office or retire. 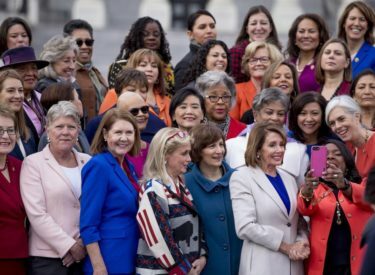 The bottom line is that women made only modest gains in legislative leadership positions despite their electoral success. They will hold at least 34 of the 195 top spots in House and Senate chambers across the country, with two spots in the Alaska House still undecided, according to a review by The Associated Press. That’s up slightly from 30 top leadership positions last year.